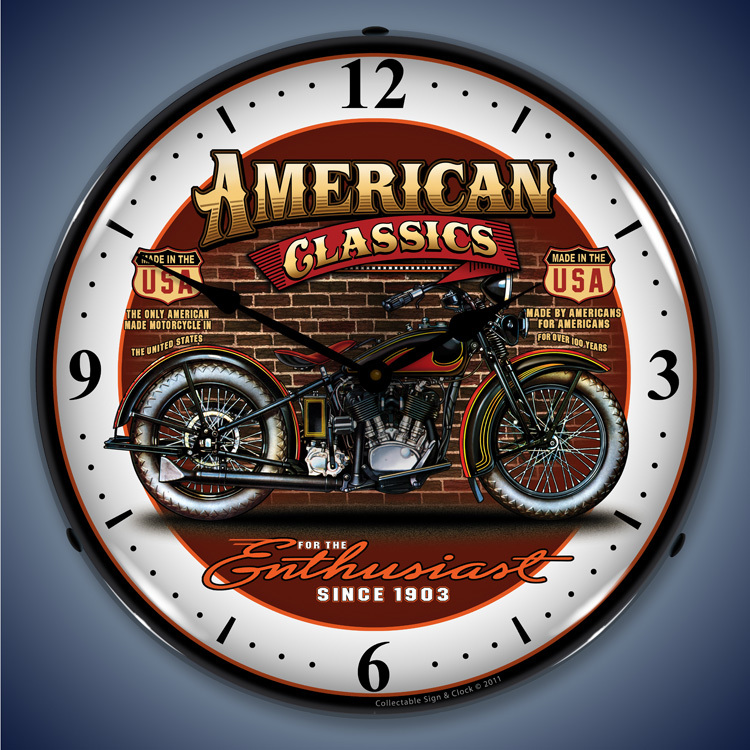 Vintage Motorcycle Wall Clocks (Lighted) on sale here at The Motor Bookstore for you motorcycle enthusiasts, restorers and collectors. 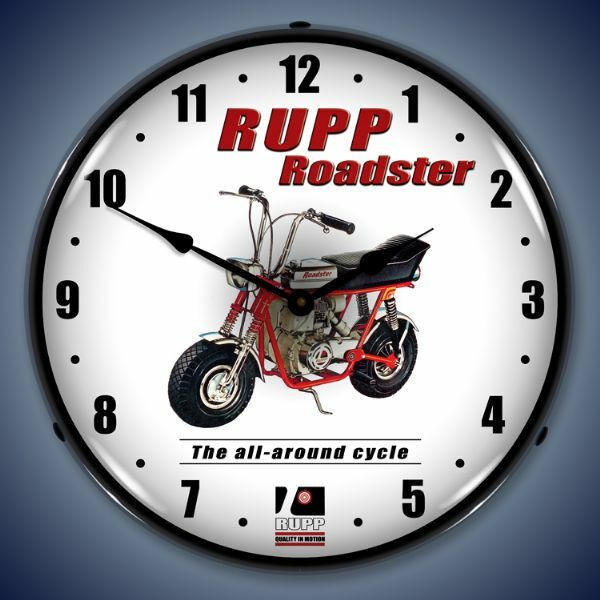 If you've given your motorcycle a name (and if you haven't, why not? 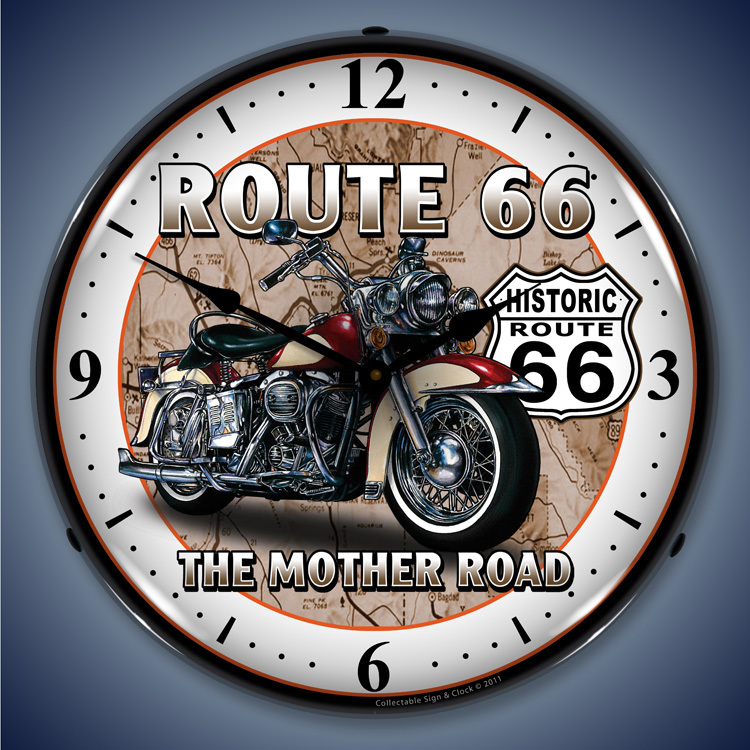 ), then you're a rider that will appreciate these vintage motorcycle clocks. These premium time pieces will take everyone back to a more colorful time and promises to give any environment a sharper, distinctive appearance. 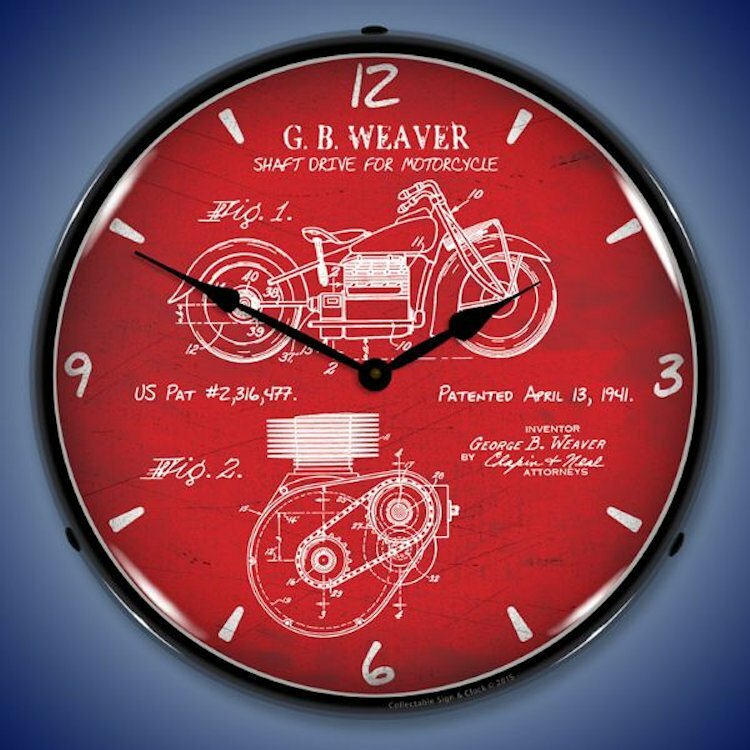 A retro motorcycle wall clock makes a great gift for any riding enthusiast. 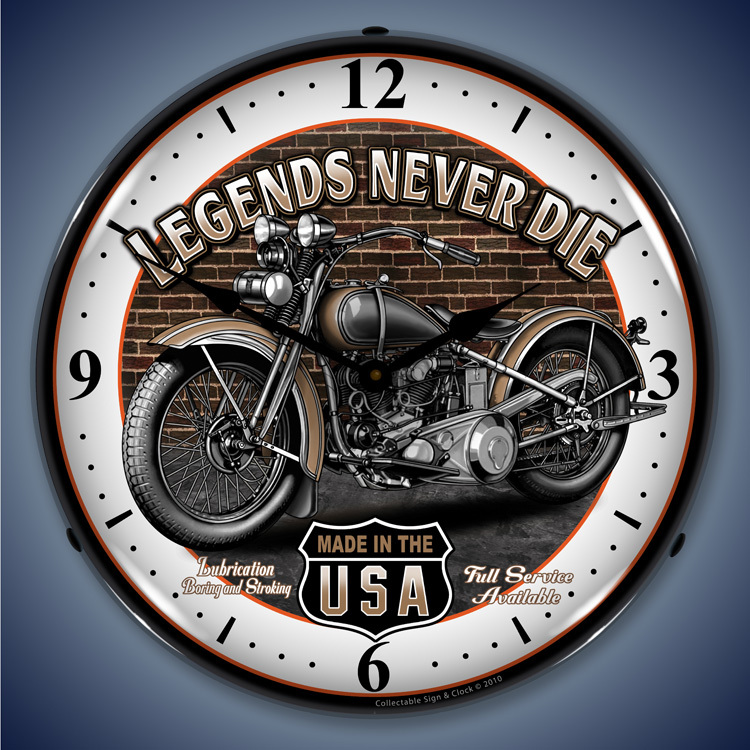 First up, there are the Indian Motorcycle clocks. Indian designed classic models like the Scout and Chief, becoming one of the first and biggest motorcycle manufacturers in the world. Vics Hwy 40 is a tribute to hitting the road and exploring new worlds on a regular basis. 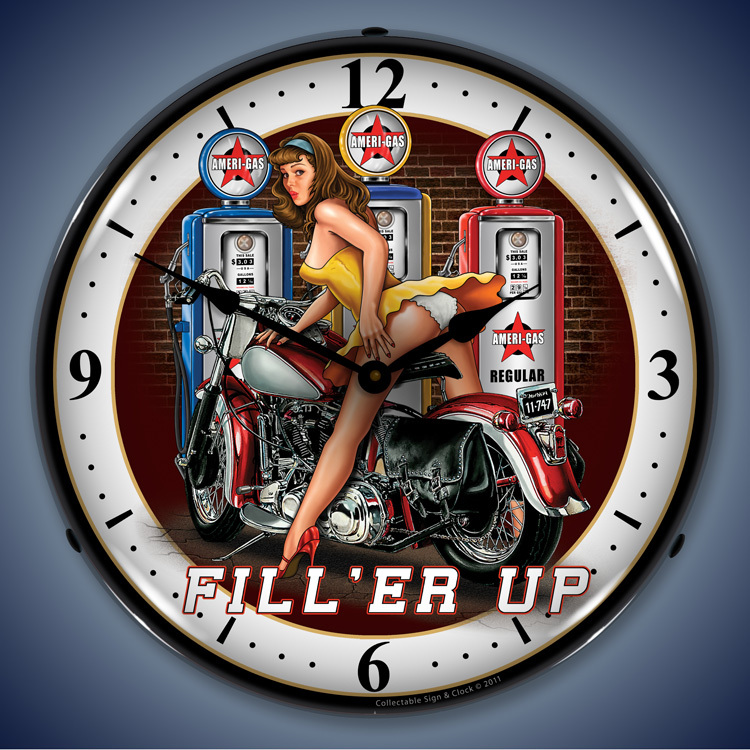 Fill er Up is a throwback to classic pin-ups of yesteryear. Smile at Evolution of the Biker as man grows from simian to rider against a soft blue background. 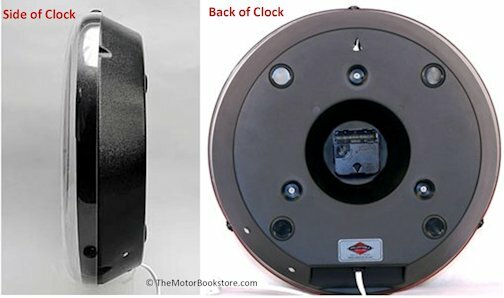 All these vintage motorcycle clocks are filled with bright, beautiful, rich color highlighted by subtle back lighting. 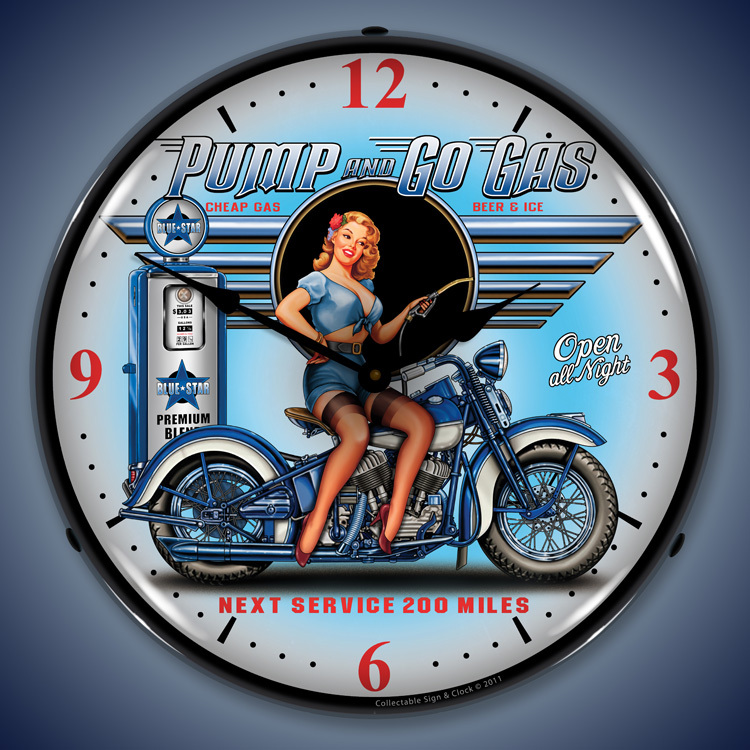 Many of these pieces utilize the original art of Larry Grossman. 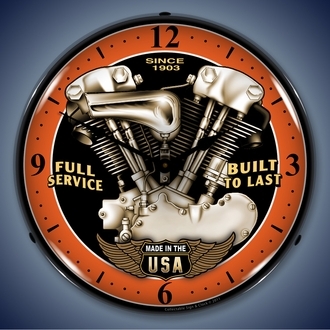 For decades, Grossman's designs adorned everything from t-shirts, logos and merchandise to films like Tron and album covers for Hank Williams, Jr. and Frank Zappa. Many of his works are still exhibited in prominent galleries and museums globally. 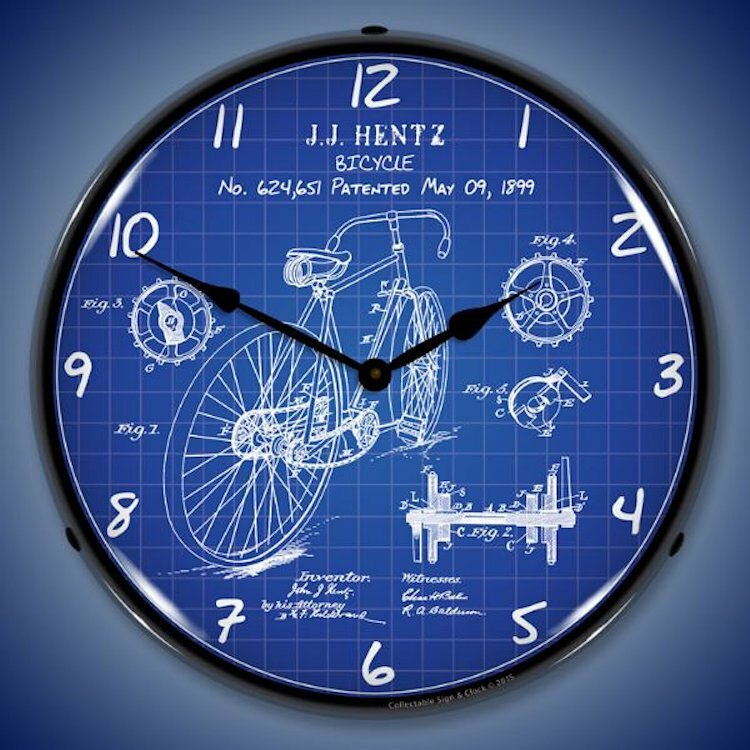 For these time pieces, his art has been meticulously reproduced with close attention paid to the detailing that makes his work stand out. These clocks are 14 inches across and four inches thick. The shell comes from solid ABS plastic and a high quality clear Lexan outer lens. Designed with a unique computer controlled UV dried printing process that will hold up for years, all time pieces have a fluorescent light powered by a standard outlet and the cord's on/off switch. 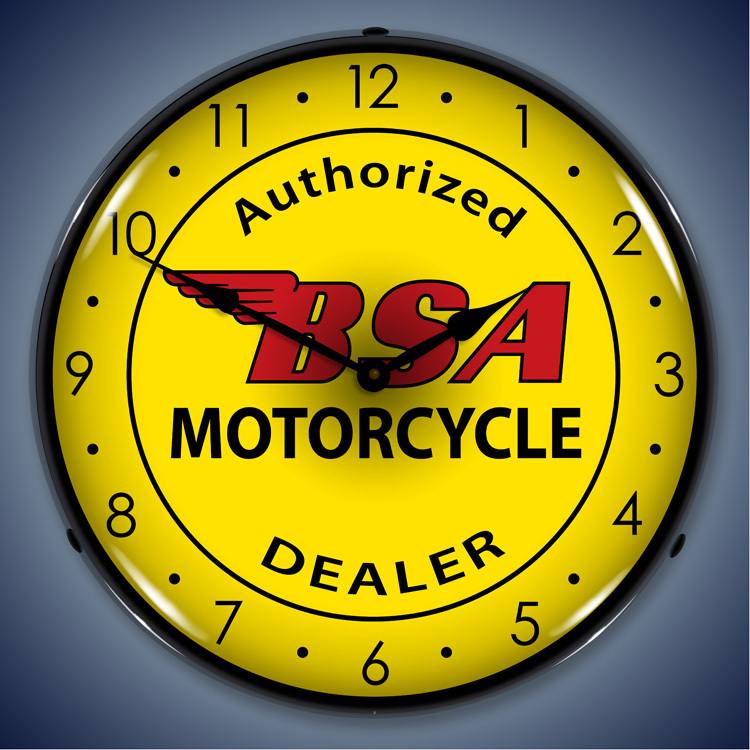 The clocks themselves offer long lasting performance on a single AA battery. 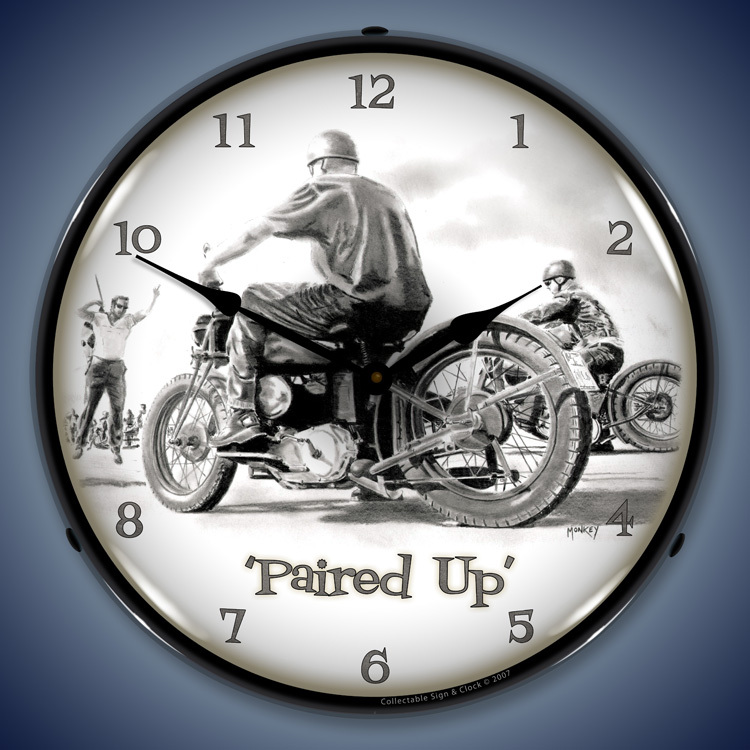 If you love your motorcycle (and we know you do), you're going to love these vintage motorcycle clocks.